As it says beauty lies in the eyes of the beholder, likewise, luxury is in the experiences. Those days were gone when luxury was defined by extravagance and opulence. In today’s date, luxury is all about sanity and experiences. It can be redefined as meta luxury- redesigning personal brand and excellence. The luxury landscape in travel industry is also changing and evolving constantly driven by the traveler’s perception. Luxury travel may or may not be glamorous but it is always meaningful as the luxury travelers are disrupting the trend and always keen to enjoy exceptional experiences and are willing to spend an extra bit to buy lifetime experiences revolving around eco-centricity, freedom, inner-peace, kindness, relationship, security, and wisdom. These values serve as the driving factors in today’s luxury landscape. At a macro level, luxury travel is mostly towards personal contentment with exclusive travel memories that can resonate many years later. Luxury relativism is the main element today that an expert travel advisor needs to realize. There are three main categories of consumers in luxury travel market among which the first one is very obvious- the high net-worth travelers looking for the best of everything, but the next two categories are the most crucial ones who are redefining luxury travel at every turn. They do not believe in traveling in the luxury bubble but wants innovation and creativity in their enticing travel moments and environments while appreciating the hidden treasures of local cultures. It is like DIY concept. Luxury Travel Vietnam, the leading high-end DMC in Southeast Asia and the first luxury tour operator in Vietnam is dealing with all the aforesaid categories of luxury travelers for the past 15 years and the travel advisors know how luxury traveling is evolving these days among the discerning travelers. Personalization is the key influence. It is not always very big but can be extremely unusual yet exclusive. Advisors at Luxury Travel Vietnam says that a typical luxury journey begins with individualization of travel itinerary and ends somewhere beyond imagination for which they often need to move beyond the scope to make it happen impeccably. Even if it is a last minute booking, discerning travelers, especially the returning clients expect that their travel advisors will fulfill all their travel aspirations seamlessly. Yes, ‘seamless’ execution is an important criterion for a leading DMC. Time is limited and highly vital for the clients and they need to enjoy everything smoothly during their travel vacation with their loved ones. Exploring the undiscovered islands or swimming in the secluded beaches in the Halong region is ideal escapism for many travelers to Vietnam. A seaplane journey in Halong Bay often delivers the clients an out-of-the-world thrill as they experience the captivating moments of viewing the limestone seascape from the sky. Discovering the potentially last unexplored destination is probably where luxury travel is heading towards. Even if the accommodation is not meeting the basic standards of luxury, sometimes clients want to cruise or fly to remote destinations in Sapa or Cat Ba Archipelago to dive deep into the local authentic and enjoy a meal with ethnic locals, listening to their daily life stories. On the other hand, some clients define luxury in setting up a meeting with Pham Luc, the eminent Vietnamese painter specialized in traditional Vietnam, and war subjects or a cooking class from the chef of a tribal family in the distant villages of Mekong Delta. Heritage Cruises is the first 4-star boutique cruise in Vietnam that will sail through the Red River and Gulf of Tonkin region rediscovering the lost heritage and charm of North Vietnam. This new cruise will be exploring a completely unexplored sea route from May 2019 to pamper the off-the-beaten destination experiences of discerning travelers. Heritage Cruises has started receiving its bookings from international clients to set sail on its first voyage with the very first group of voyagers. The demand for being the first explorer of a destination is increasing and defining the next generation of social status for travelers. Cruise holiday is also a new travel trend among romantic couples planning for their destination wedding, honeymoon or anniversary celebration. The 5-star all-inclusive Emperor Cruises Halong organizes such fairy-tale love stories for its clients to celebrate that special day onboard with a touch of ultra-grandeur and pompous followed by an extensive luxury cruise holiday package. Sometimes clients put a request for a cruise dinner on Emperor Cruises Nha Trang before flying to Song Saa private island for their honeymoon ahead. Highly subjective, the ideas of luxury travel are getting bizarre day by day. It is almost impossible to sketch an outline for future luxury travel ideas. It is a phase of venturing to the old as well as new in a unique way fueling individual needs entirely through social, cultural and emotional interference. 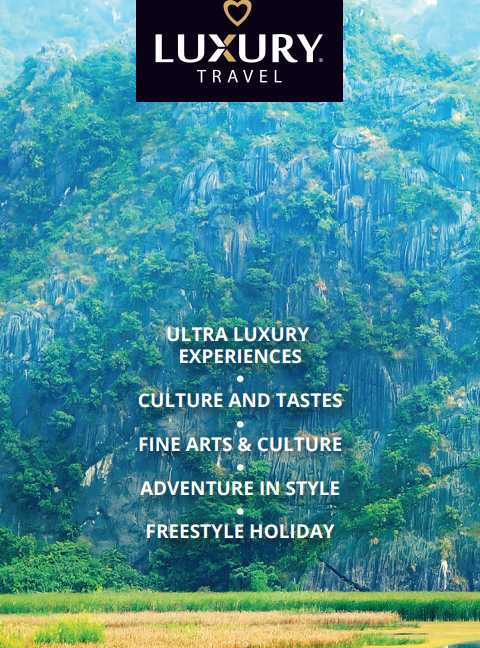 Luxury Travel Vietnam appreciates this niche segment of luxury traveling and caters the world of off-beat travel to design unforgettable destination experiences in Vietnam, Cambodia, Laos, Myanmar and Thailand for its sophisticated clients. Touching hearts is a philosophy that motivates and drives Luxury Travel to grow continuously.